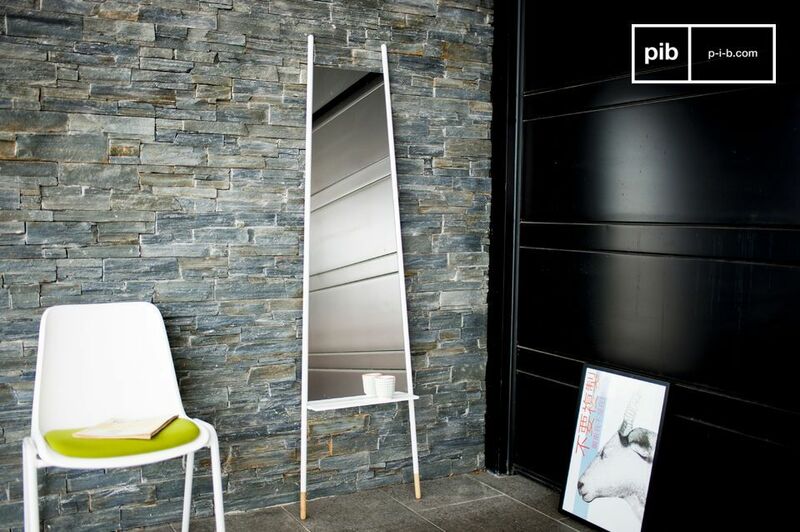 A very practical Scandinavian full-length mirror that will give your room a certain charm with Nordic accents. At a height of 171 centimetres, the Trapisa mirror is a generously sized decorative accessory. 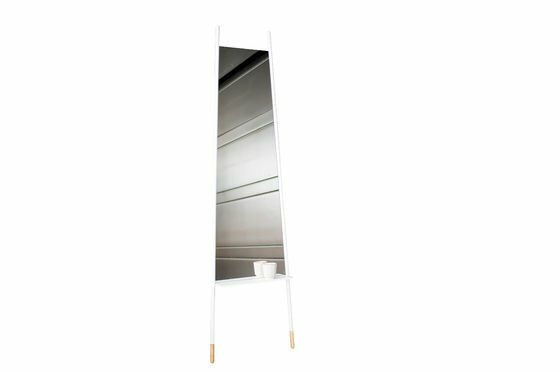 The frame of this mirror is entirely made of metal with an immaculate white finish, except on the feet, where a detail in varnished rubber wood enhances the whole. Its original trapezoid shape gradually increases the width of the mirror from 48 to 31 centimetres. At the bottom of the mirror is a small tablet to temporarily place all kinds of objects, such as lipstick. 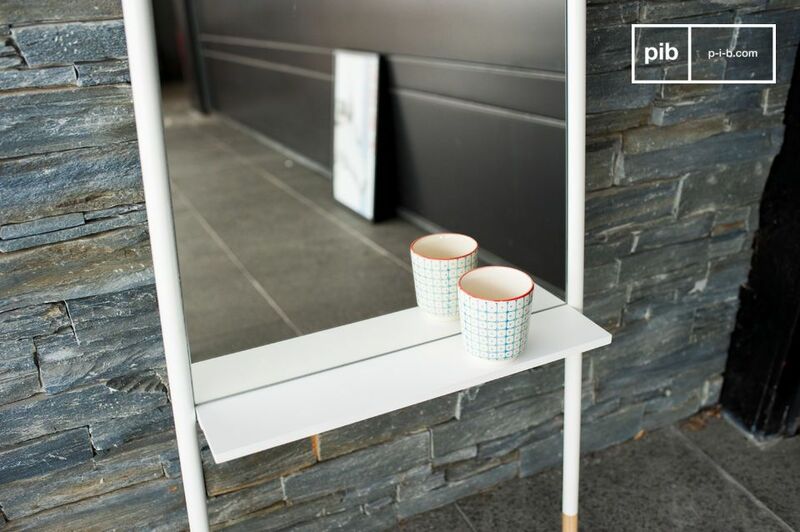 The Trapisa design mirror will bring an additional decorative element to your interior. It will be perfect next to your wardrobe or in the hallway, where you can make the final adjustments to your outfit before going out.